Felix had two younger sisters, Judith, who graduated from the Interamerican University in San German, Puerto Rico, and Felicita, who became a police officer with the Puerto Rican Police Department. Puerto Ricans love baseball. There are many different levels of leagues in the country. Mantilla began playing baseball when he was 9 years old, competing in police-sponsored leagues. He was such an excellent third baseman that he was promoted to what Puerto Ricans call Class A ball, playing with older teammates. After a year he was promoted to Arecibo, a city about 45 miles from Isabela to compete in a Class AA league. Later, he became a player on the Puerto Rican National team. Mantilla also played high-school sports, competing in softball, baseball, and track, running in the 100-meter event. One of Mantilla’s greatest accomplishments was playing for the Puerto Rican National team that won the Amateur World Series in 1951, defeating Cuba 6-5. Before leaving for the camp, Mantilla got a warning from his high-school principal. “The principal knew that I was going to the United States, and he told me, Felix, you might have some problems when you get to the US. You are going to go from San Juan to Miami, then from Miami to Myrtle Beach. Sometimes if you ride a bus, to avoid problems you have to sit in the back.” This was all new to Mantilla, since he didn’t have to go through this in Puerto Rico, but he was grateful for the advice, and having about ten Puerto Rican players accompany him on the trip made it a little easier. At Evansville (Three-I League) Mantilla played for manager Bob Coleman, of whom he said, “He liked me, and I liked the guy. He gave me a chance to play.” Mantilla had an impressive 1952 season, playing shortstop and batting .323, and was named the Three-I League’s rookie of the year and its All-Star shortstop. Again he spent the offseason playing for Caguas, helping the team capture the Puerto Rican title. For 1954 “They were going to move me to what I think was the Atlanta Crackers at the time, but I wasn’t too receptive to that idea, so they moved me to the Triple-A team in Toledo. … It was pretty tough there too, though.” Mantilla batted.273 and hit 16 home runs. In a Memorial Day doubleheader sweep at Louisville, he accounted for eight of his team’s 12 runs, belting two triples in the opener and a three-run homer in the nightcap. He had a 23-game hitting streak during the season. Still only 20 years old, Mantilla also spent the 1955 season at Toledo, batting .275. At Milwaukee’s spring training in Bradenton, Florida, in 1956, Mantilla impressed manager Charlie Grimm, who said he had “one of the best pair of hands I ever saw.” For the start of the season he was sent to Sacramento of the Pacific Coast League, but was called up on June 15 to provide backup for shortstop Johnny Logan, who was in a batting slump. He made his major-league debut on June 21 against the Pittsburgh Pirates at Forbes Field, replacing Logan at shortstop. In his first at-bat he popped out to the second baseman. He made his first start on July 1, against the Chicago Cubs in the second game of a doubleheader at Wrigley Field, playing third base and leading off. He went hitless in four at-bats. Mantilla said he was “kind of nervous, but after one inning, I lost my nervousness.” He stayed with the Braves the rest of the season, batting. 283 in 53 at-bats. Mantilla earned a spot on the Braves’ 1957 roster, impressing manager Haney, who observed that “At third, he’s as quick as a cat and has that arm. He can make the pivot on the double play at second.” After the newly acquired Red Schoendienst was injured, Mantilla briefly filled in for him. Mantilla suffered a bruised chest in a collision with outfielder Billy Bruton on July 11 and was sidelined for 18 days. (Bruton was sidelined for the rest of the season.) Mantilla returned to duty on July 29 at County Stadium with a pinch-hit bases-loaded walk that ended a wild extra-inning contest against the New York Giants. The come-from-behind victory kept the Braves in first place by a half-game over St. Louis. In mid-August he filled in at shortstop for Logan, who was recovering from an infected shinbone. 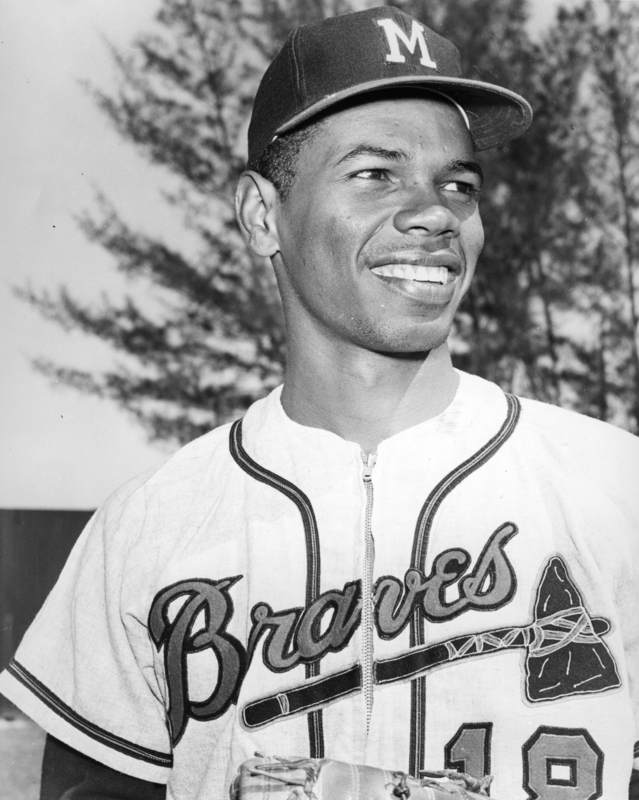 Mantilla played in four games in the Braves’ World Series victory over the Yankees. As a pinch-runner he scored the tying run in Game Four. He replaced second baseman Schoendienst (pulled muscle) in Game Five and started Games Six and Seven at Yankee Stadium. In Game Seven. Being on the field for the final out in Game Seven “was the greatest feeling of all time,” he said. Mantilla called the World Series victory one of his memorable accomplishments. Mantilla demonstrated his versatility during the 1958 season, starting 27 games in center field, filling in for the injured left fielder Wes Covington, and also filling in at second base, shortstop and third base. One of his biggest disappointments was the Braves’ loss to the Yankees in their World Series rematch, when Milwaukee squandered a three-games-to-one advantage. At Caguas after the 1958 season, manager Ben Geraghty moved Mantilla from shortstop to second base to help facilitate his probable move to second base to replace tuberculosis-stricken Schoendienst in 1959. As it turned out, Mantilla played 60 games at second, one of six players to fill in for Schoendienst. The 1960 season was another carousel at second base. The Braves were hoping for a return of Schoendienst after his bout with tuberculosis, but the 37-year-old struggled at the plate. Chuck Cottier and Mel Roach also played second base. Mantilla had 148 at-bats with a .257 average and played mainly at second base and shortstop in 63 games. During the offseason, the Braves changed the makeup of their infield. They acquired Roy McMillan from the Reds to share duties at shortstop with Johnny Logan, and Frank Bolling from the Tigers to play second base. The handwriting was on the wall and Felix knew it, commenting, “They use me in 45 games, and then I see a newspaper got a list of the guys who might go in the draft, Bob Boyd, Al Spangler and me.” On October 10, 1961, Mantilla was selected by the brand-new New York Mets in the National League expansion draft. After the season Mantilla was traded to the Boston Red Sox for infielder Pumpsie Green, pitcher Tracy Stallard, and shortstop Al Moran. Red Sox manager Johnny Pesky was pleased with the acquisition of Mantilla. “I saw him in 1955 when I was coaching at Denver and he looked like a fine shortstop,” Pesky said. “They say he plays a good third and second base. I could use Mantilla in three different positions.” Mantilla loved playing in Fenway Park; “it was a great park to see the ball real well. Everything seemed like it was green.” While playing for Boston he lived in the nearby Kenmore Hotel. Mantilla didn’t get much playing time during the 1963 season, appearing in just 66 games, but he batted .315. When Ed Bressoud suffered a severe heel sprain and bruise, Mantilla filled in for him, and he began playing second base the last two weeks of the season. Mantilla delivered a walkoff two-run, pinch-hit home run in the bottom of the ninth in a 5-4 victory over the Kansas City Athletics on May 23. It was only his second home run of the season. On May 31 he came through again, slugging a pinch-hit double in the ninth inning to beat the Minnesota Twins, 4-3. While replacing an injured Tony Conigliaro in the lineup, Mantilla blasted three homers in two games against the Cleveland Indians on June 27-28. The home run barrage continued and by August 15 Mantilla had 20 home runs. Mantilla finished the season with 30 home runs in 425 at-bats, an amazing performance considering that he had clubbed only 35 home runs in his previous eight seasons in the majors. He drove in 64 runs, and batted .289. Not bad for a player who saw limited action the first month of the season. Mantilla was honored by the Boston Chapter of the Baseball Writers Association, which gave him the Comeback Player of the Year Award after the season. Newly appointed Red Sox manager Billy Herman had big plans for Mantilla for the 1965 season, saying he planned to bat him in the fifth spot. “Felix hit 30 homers last year and I want him down where he can drive in the maximum number of runs,” Herman said. Mantilla came through with a big season, batting .289, driving in 92 runs, and blasting 18 home runs. He was picked as the American League’s starting second baseman for the All-Star Game, his only All-Star Game appearance, and went 0-for-2. Mantilla spent the offseason working for the Milwaukee police department along with major leaguers Bob Uecker and Don Pavletich in a program instituted by Judge Robert Cannon to help curb juvenile delinquency. Just before the start of the 1966 Mantilla was traded to the Houston Astros for infielder Eddie Kasko. Mantilla had hurt his arm and shoulder during spring training, and he thought the Red Sox decided that this was a good time to move him. He was puzzled that Red Sox told him the trade was for youth but Kasko was two years older. For the Astros, Mantilla spent most of the first month of the season on the disabled list, then batted .219 with 22 runs batted in in 77 games (151 plate appearances). In the Astros’ final game of the season, on October 2 against the Mets at Shea Stadium, Mantilla had a home run, a double, and three runs batted in what turned out to be his last major-league game. After the 1966 season, Mantilla asked the Astros for his release, which was granted. He considered playing in Japan, but in February 1967 he signed with the Chicago Cubs, who were closer to his home in Milwaukee. While in spring training with the Cubs, Mantilla tore his Achilles tendon during a timing drill. He realized his career was over. Mantilla played a few games for a team in Sherbrooke, Quebec, but his legs were hurting. The team’s manager was fired and Mantilla succeeded him and guided the team to a second-place finish. Mantilla wanted to continue as manager, but the ownership wanted a player-manager, Mantilla returned home to Milwaukee. He worked for the Boys’ Club in Milwaukee. A Little League team that competes in the southside of Milwaukee was named after him. Mantilla has two children from his marriage on September 17, 1953, to Delores Berry, whom he met while playing at Jacksonville. Felix Jr. is a retired attorney and Jose is a retired banker. Mantilla has been married to Kay since 1981, and they reside in the northwest side of Milwaukee. They have five grandchildren. Mantilla said he loves retirement because he can do what he wants to do, when he wants to. This biography is included in the book "Thar's Joy in Braveland! The 1957 Milwaukee Braves" (SABR, 2014), edited by Gregory H. Wolf. To download the free e-book or purchase the paperback edition, click here. It is also included in "Puerto Rico and Baseball: 60 Biographies" (SABR, 2017), edited by Bill Nowlin and Edwin Fernández. In-person interviews with Felix Mantilla, November 3 and 8, 1912. Baseball Hall of Fame Library: Player file for Felix Mantilla. Jack Pearson, “The Kid from Puerto Rico decided he liked it here,” 50 Plus, May 2010. Bob Wolf, “Mantilla Now Blocked by Logan at Shortstop but Has Bright Future,” Milwaukee Journal, April 1, 1956. Vic Ziegel, “Mantilla Arrives,” Sport, August 1965. Paul Green, “Felix Mantilla,” Sports Collectors Digest, July 19, 1985. Bob Wolf, “Braves’ Talent Bin Overflowing With Nifty Kid Infielders,” The Sporting News, March 21, 1956. Cleon Walfoort, “Pennant Rides on ‘Felix the Cat,’ Now the Club’s Only Shortstop,” Milwaukee Journal. Undated article from the Mantilla file at the Baseball Hall of Fame library. “Crestfallen Mantilla Says He Was Off Balance,” San Francisco Chronicle, September 30, 1959. Hy Hurwitz, “Wanted: Hungry Players, Pesky Tells Hub Hose,” The Sporting News, February 2, 1963. Pesky Will Return in ’64; Vows to Correct Mistakes,” The Sporting News, October 5, 1963. Larry Claflin, “Pleasant Surprise? Watch Morehead, Says Hub’s Herman,” The Sporting News, December 19, 1965.